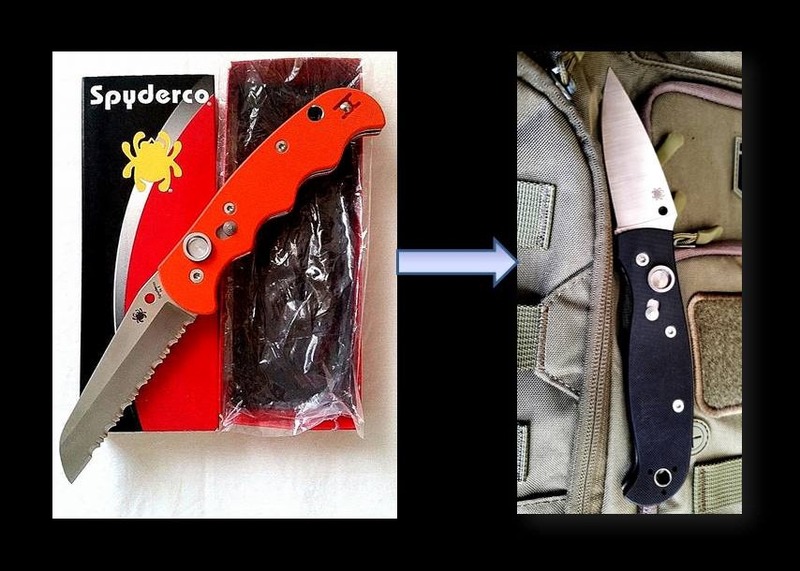 Spyderco developed the original ATONOMY to address the needs of US Coast Guard rescue swimmers. From its distinguished service, the company created its newest model, the ATONOMY 2. In keeping with Spyderco tradition, material selection, design, function and build quality are superb. The end result is one of the best EDC automatics on the market. Why do you need an automatic folder? Because being able to deploy the bladed with one hand may very well save your life. You’re rappelling or rock climbing, you may need to cut a rope or cut yourself out of an entanglement. You’re a tree surgeon and need to get yourself out of a potential problem. Your off-road vehicle flips and your arm is pinned or incapacitated and you may need to cut yourself out of your seat belt or shoulder harness. I’ve identified just a few situations, there are many more. There is a plethora of uses for an automatic knife. Yet, unfortunately, many jurisdictions still have archaic laws, which quite frankly are based on the stigma of those old Sal Minio gang movies. Fortunately, an increasing number of states have recognized the need to rethink automatic knife laws, but just the same, when considering an automatic folder or OTF pocket knife be sure to follow all applicable laws. However, let’s not leave it at that, be proactive, engage and interact with your elected officials, open their eyes and ask them to put and end to the automatic knife myth. This entry was posted in Knives and Tools and tagged ATONOMY, ATONOMY 2, automatic, Spyderco. Bookmark the permalink.